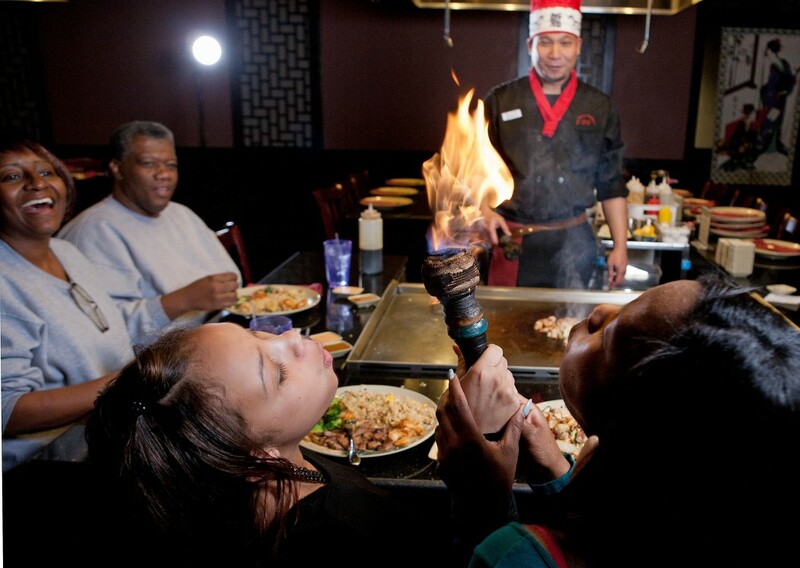 Hibachi is hot at Fuji Japanese Steakhouse in Garner, complete with flames-flying, ingredient flipping shows by chefs at the grill. While you’re here, you’re not a customer; you’re a guest, in the “home” of second-generation chef David Chen. “The atmosphere is family friendly, with a community feel,” said Chen, with seating for 280 diners, including hibachi-side and at the sushi bar. Hibachi, tempura and sushi are key menu concepts. Hibachi-style entrees in steak, chicken or seafood are most popular with guests. Deep-fried tempura dinner entrees are big hits too, along with sushi and rice-less sashimi. Chen’s 20-plus years of experience in Japanese kitchens bring special touches to his recipes. For example, the slightly spicy, seared Tuna Tataki, served with citrus-based ponzu sauce, “takes time, effort and heart,” he said. His secret-recipe homemade sauces also add spark to meals, and are popular as take-home purchases. Fuji’s menu includes Fuji Seafood Soup, full of shrimp, crab, scallops, lobster and vegetables, Lobster Tail Tempura and Samurai Steak at the hibachi. Bento boxes provide a sampler, and guests can build one of nearly 20 sushi roll combinations including tuna-based Dynamite Roll, deep fried with eel sauce, or caviar-wrapped South Beach Roll.